Katie began her training in Cary, NC. During her 13 years in school, she partook in numerous productions, including Nutcracker, Annie and The Ruby Slippers. Katie went on to the University of North Carolina at Wilmington to purse advanced training. While earning her BA in Therapeutic Recreation, she performed with UNCW Theatre/Dance Department, Wilmington Independent Choreographers, and Cape Fear Theatre Ballet. While in Wilmington, Katie also taught ballet at numerous studios. Katie and her husband Chase moved back to Cary in 2002. 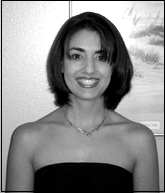 She is also proud to be a Certified Therapeutic Recreation Specialist. Katie joined our faculty at Cary Conservatory in January 2003. Her love for children and passion for dance shows in her teaching. Katie is delighted to be back at Cary Ballet Conservatory, where she once was a student!